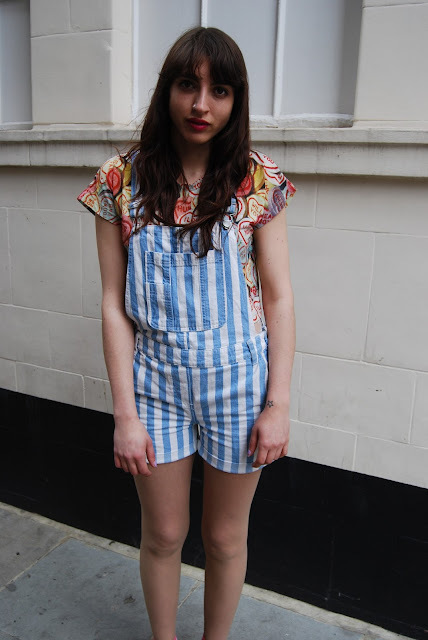 There is just something about dungarees that makes them so wearable. They are comfortable for one, far more 'decent' than dresses when it comes to summer days in the park (no Marilyn moments! ), practical for jobs like mine where I have to carry multiple notes/keys/tools (ha!) and easy to wear, whether its a shirt, crop top, thin knit or even a bikini top on the beach -it all works. 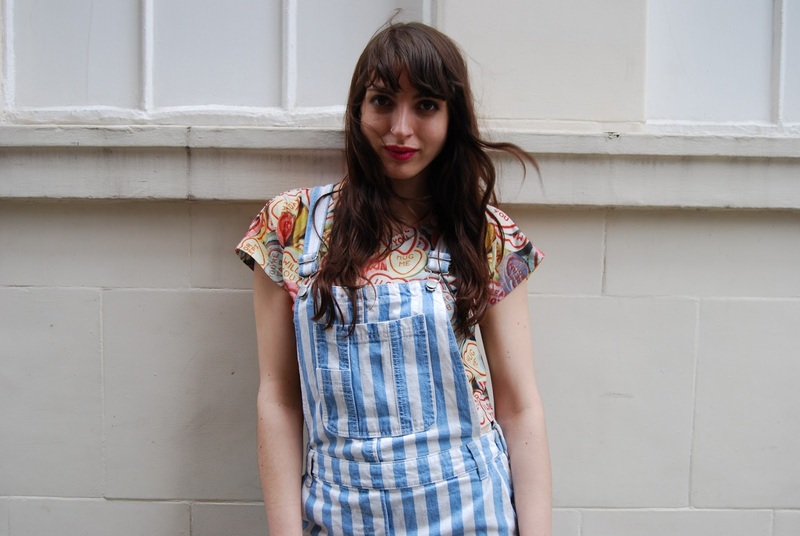 If denim dungarees remind you a little too much of your childhood wardrobe, there are loads of tailored versions out there in loads of colours, patterns and lengths so you can find your perfect pair! I matched the socks with the colours from the tee, and attempted to add a slightly more grown up element with a heeled boot rather than a flat. I have my eye on some barely-there, white heeled sandals that I think would look amazing with the ankle sock to finish this outfit off! But think the boots make it a very me outfit. 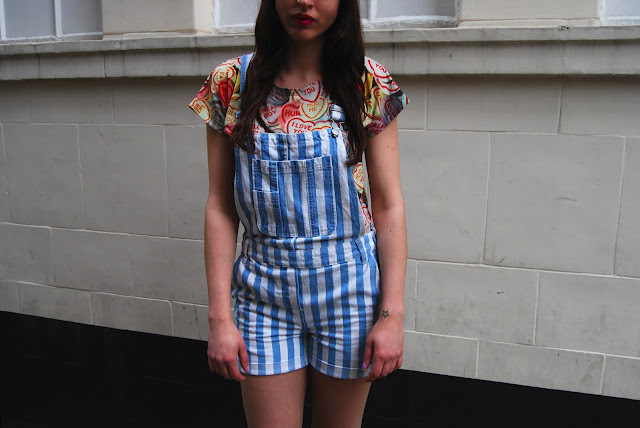 How are you going to wear your dungarees this summer? cos my answer to that is every way possible! love the love-heart design on the tee and the candy striped dungarees, fab combo!